Lightweight wrench with heavyweight power, half the weight of traditional style 1'Sq drive air impact wrenches. Manufactured from a composite and aluminium alloy housing. Fitted with aluminium handles to reduce vibration and chill effects. 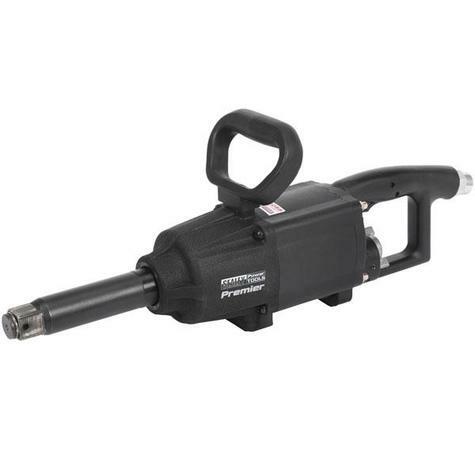 Heavy hitting twin hammer mechanism gives extremely high torque output suitable for commercial and agricultural use. Ergonomically styled handle for extra control and movement, having the air intake valve at the back helps to increase control. Lever and twist controls for simple choice of speed and direction.